‘Tis the season for nighttime exploration. Rest assured, the captives were released immediately following the hunt. Boys and bugs go together like peanut butter and jelly. So true! Though I’d prefer just the PB&J. We love lightening bugs, too. The boys would be out every night to catch and release if we let them. That is cool! My kids would freak out and run away screaming. Too bad they don’t like bugs. I showed them the fireflies twinkling in our yard one night and they lost interest in five seconds. Sigh. Well, you guys also have mosquitoes the size of horses. I’d probably lose interest in the twinkling lights, after getting knocked down by the ‘squitoes! 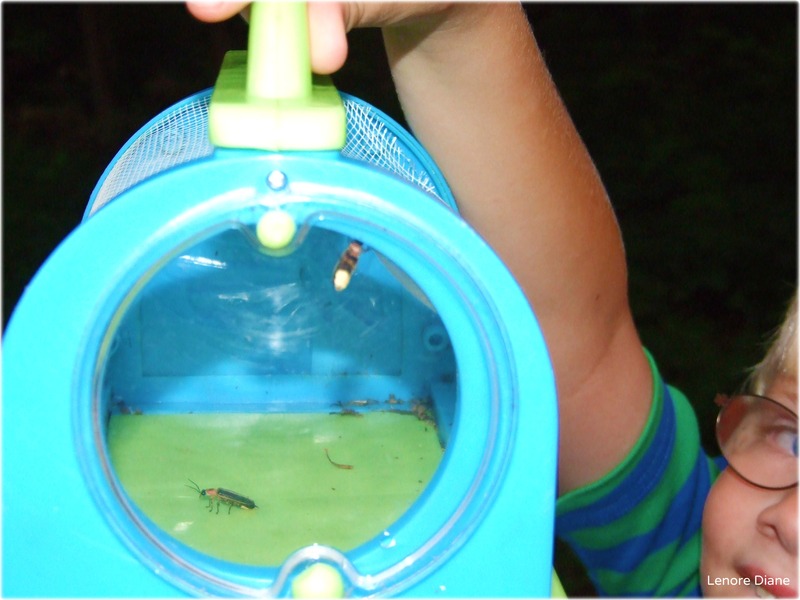 Lightening bugs, kids love ’em. Together they are like sunshine and laughter. A perfect combination, Maxi! Blessings to you. My granddaughters love lightning bugs (fireflies) just as much as the boys do. To the point where I finally have to say – enough with the bugs, okay? Let’s do something that won’t get me eaten alive by mosquitoes. Exactly, K8! Mosquitoes do tend to get in the way of the fun. Catch and release is the only way the boys are allowed to play. I do the same thing: …lightning bugs (fireflies)…. Yes, I do that. All the time. What a fancy mayonnaise jar! Hahahaha! Only Helman’s mayonnaise is good enough. oh those boys and bugs! Looks like the hunt was a great success! Oh, there were way more than these pictured, I assure you. That thing was filled with fireflies. I’m quite certain we could have used the light emitted from the bugs to explore deep dark caves. That brings back memories! But our container was much more primitive.